Changes the damage multiplier from sneak attacks so that it is dependent on your character's level in the Sneak skill. 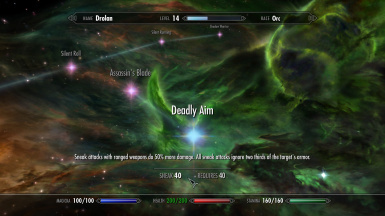 The sneak damage perks will also allow your sneak attacks to overcome the target's armor rating, like the old perk from Oblivion. Give specific instructions for people looking to use your assets or maybe note down users you have given permission to use your work. 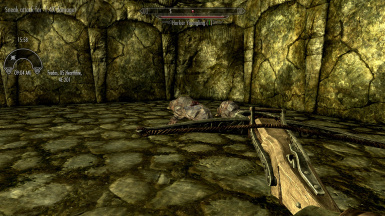 In vanilla Skyrim (and I suppose in all Bethesda games in general), sneak attack damage is a bit static for my tastes. A few game settings define the base multiplier for each kind of weapon, on which perks can build up as well, but the overall is a big buff from which all characters can make good use of for surprise attacks, regardless of how sneaky you actually are. To be specific, one handed weapon types have the multiplier set as x3, while two handed, fists and ranged weapons have x2. 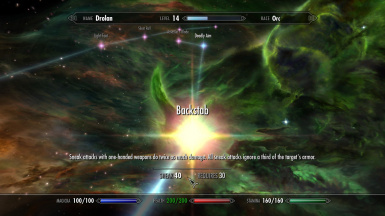 The Backstab perk raises the multiplier by x2 to x6 for one handed weapons, Deadly Aim raises it by x1.5 to x3 for ranged weapons, and Assassin's Blade further raises it by x2.5 to x15 for daggers. 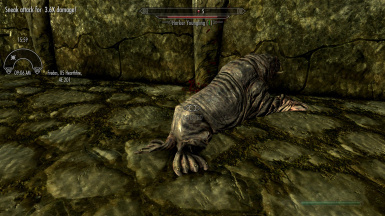 This mod lowers all base multipliers to x1, so there's no inherent damage bonus from sneak attacks, but instead adds a perk to the player that raises this multiplier as your skill in Sneak progresses, and presumably you learn how to target and hit the more vulnerable spots. Your sneak attack multiplier will raise by 2% for one handed weapons with every level in Sneak, and 1% for other weapons. Once you reach skill level 100 in Sneak, the base damage multiplier will be the same as the vanilla one. The aforementioned perks are also changed to adjust their description, and give them an interesting effect. Each perk will allow you to progressively ignore more of the target's armor in your sneak attacks, for all kinds of weapons and not just the one they refer to. Backstab makes sneak attacks ignore 33% of the target's armor, Deadly Aim raises this to 66%, and Assassin's Blade makes sneak attacks ignore any and all armor rating. Like the old master sneak perk from Oblivion did. 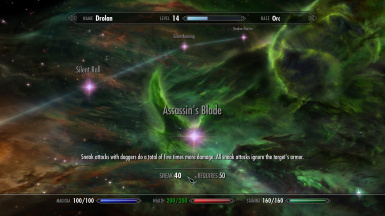 This mod uses a tiny script to simply add the new damage progression perk to your character. It edits the three stated perks assuming a vanilla setup so I have no clue or care much about compatibility with Ordinator etc. Those probably add more interesting stuff anyways. The file is marked as an .esl so your load order capacity shouldn't be compromised. I may revisit this for allowing custom multiplier progression once I figure how MCM works here. In any case, enjoy.